Start your day off right with the Morpheus Daybreak pocket knife from William Henry in your pocket or around your neck as a pendant. 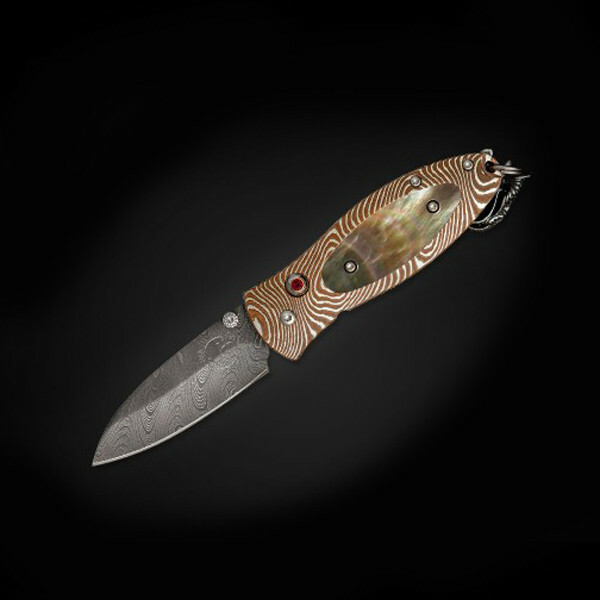 The knife features a hand-forged Damascus steel blade and a Mokume Gane inlaid handle with black lip Mother-of-Pearl. 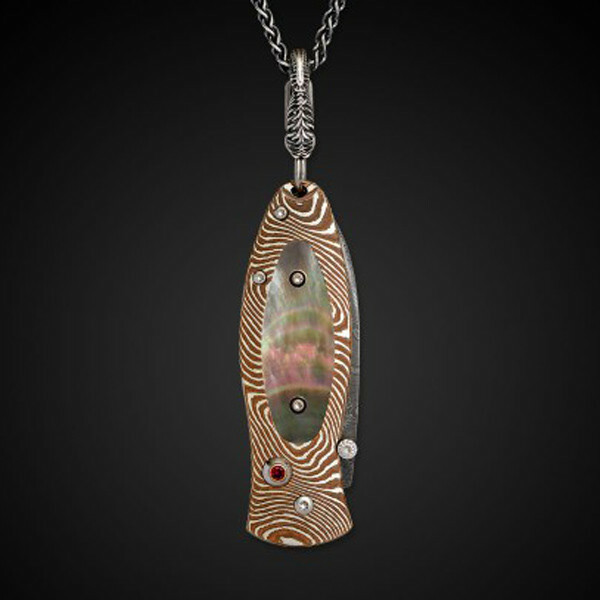 Red topaz, sterling silver and stainless steel are accent materials. The knife hangs from a 22 gunmetal-finish sterling silver chain. This William Henry pocket knife makes any time of day a good time of day!